"Take me back down where the cool water flows," sang CCR's John Fogerty back in the late 1960s, "and let me remember the things I don't know." If there's ever been a better statement of purpose for outsider country music, I haven't heard it. For so many non-Southerners enamoured of the locations, tropes and characters that drive country songwriting, if you wanted to join in you had to remember things you didn't know. By the early 1970s, when everyone from James Taylor to Neil Young to Jackson Browne to the Eagles, Poco and the Grateful Dead were wearing cowboy hats and hiring a pedal steel player, it seemed like everyone was re-imagining themselves as lonesome pickers. They were retenders, yes, but they made some of the best music of that, or any, decade. 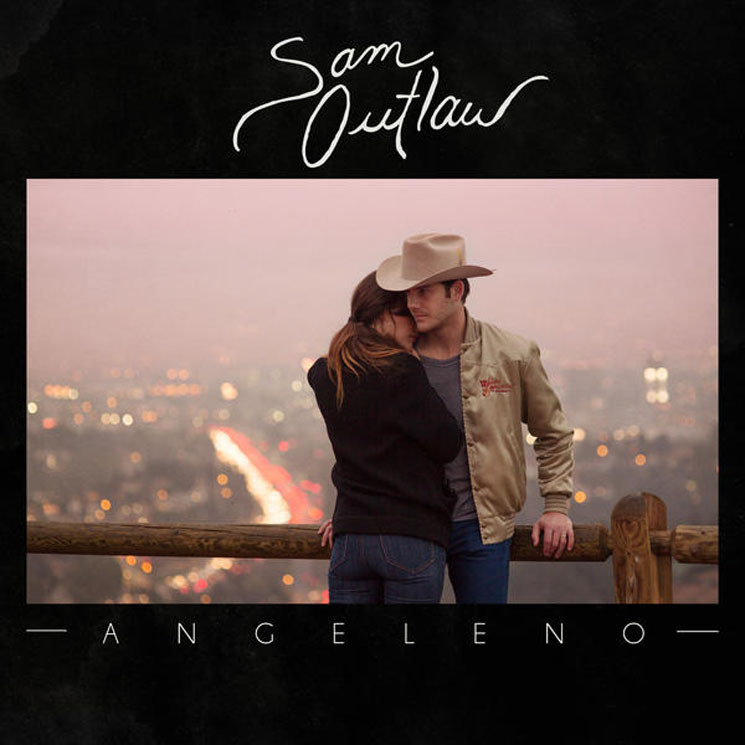 Angeleno, the triumphant debut from Los Angeles-based Sam Outlaw, is perhaps the best example of this old sound we've had in 40 years. A remarkable collection of laid back So-Cal country tunes, this record is perfectly calibrated to please fans of Outlaw's forebears. Think of it as Sam, The Wolf King of L.A.